The two major political parties are both alliances of diverse groups, and the dominance of these groups varies over time. The more obvious changes have been in the Republican Party as the religious right, once laughed at as nuts by much of the party establishment, now appear to be dominating the party. Meanwhile the libertarian components of the GOP have dwindled in influence to the point where they pretty much can be flushed down Grover Norquist’s toilet. The nomination of Barack Obama for the Democratic nomination with the support of many who do not consistently vote Democratic might also bring about a change in the Democratic Party. Obama won with both traditional Democratic voters and with the support of independents. His election was part of a trend for educated and affluent voters to switch from the Republican Party to the Democratic Party, leaving the Republicans as the home of the uninformed Joe Six Pack Voters. This trend has been in motion during the Bush years as increasngly those who oppose the foreign policy, conservative social views, and restirctions on civil liberties under the Republicans have moved to the Democratic Party. Some Democrats have not been comfortable with the changes this has brought to the party. Hillary Clinton attempted to capitalize on this with her attacks on Obama supporters as elitists. Another group which might see their position change is labor. Marc Ambinder still sees labor as “the backbone of the Democratic Party” and sees card check as the top priority of labor in the Democratic Party. The problem for both labor and the old Democratic establishment is that, despite having a majority in both houses of Congress, passage of card check is far from certain. Not all Democrats will necessarily go along, and the Republicans have hope for a successful filibuster. This raises the question of how many of the affluent, better educated, latte drinking voters who backed Barack Obama see this as their issue. Just as the religious right might be taking control of the GOP from the Republican establishment, there is the potential for newer Democratic voters to change the nature of the Democratic Party.The new, younger, and more educated Democratic voters tend to be have far more connections to the “new economy” than to labor. Those who see McGovern as a far left socialist might also be surprised by this. 2008 is a different era than 1972. Obama won with a unified Democratic Party, including the support of organized labor. Obama is not going to ignore the wishes of labor, but we also have a different type of economy than in 1972. We might also have a different Democratic Party than we had in the past where labor’s role is not as important. None of this matters much to me, but I would be happier if I could get good corned beef and lox out where I live. I hope that the election of Barack Obama is a sign that the country can move beyond identity politics. While it is understandable that blacks would vote overwhelmingly for Obama, most of us voted based upon the candidate who was the best person for the job, totally ignoring race. That was a great moment in our history. Of course considering how awful the entire Republican field was, along with how terrible the other top tier Democratic candidates were, it didn’t take much to be the best candidate. The prospects of any of those other awful choices becoming president should have been enough to get Americans to drop all racial prejudices and elect Obama. Would Matthew have preferred to see John McCain elected and have Joe Lieberman in the cabinet? There’s no doubt as to how he would answer that one. I wouldn’t judge government officials based upon their religion, but if I were to root for Jewish influence I’ll take Axelrod and Rahm Emanuel over any number of cabinet officials. Plus Orszag’s position at OMB is actually cabinet level, and Summers’s position as Director of the National Economic Council are hardly trivial. This should be more than enough for the Ron Paul types to be screaming about a Jewish conspiracy taking over the government. Plus having Axelrod and Emanuel trump having Josh Lyman and Toby Ziegler on The West Wing, and it’s even in the real world as opposed to on television. The potential appointment of Caroline Kennedy to Hillary Clinton’s Senate seat is raising much more emotion than I think it deserves. I don’t have a strong opinion either way primarily because I don’t know enough about Kennedy to be certain about her ability to be a Senator. Her name is not sufficient qualification for the post but neither is it reason to oppose her. There’s no doubt that if she receives the post it will be largely because of her name and family ties, but Kennedy would hardly be unique in receiving such advantage. We have a strong history of both political dynasties as well as politicians such as Barack Obama winning against one of our strongest political families. 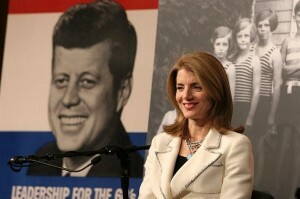 If Caroline Kennedy becomes senator from New York she will follow other big name senators such as Robert Kennedy and Hillary Clinton. Among the top names being considered besides her is a member of the Cuomo family. Kennedy’s political resume is thin but this is not necessarily bad. Being a career politician is not necessarily a virtue. Kennedy has written books on civil liberties and the Constitution which makes her as qualified as many others who have served in the Senate. Certainly her writings don’t make her less qualified than Al Franken even if she cannot match his resume by also haven written for Saturday Night Live and hosting a show on Air America. If Caroline Kennedy becomes senator it will be because of appointment rather than going out on the campaign trail, but that would be true of anyone who receives the appointment. If I did have the responsibility for the appointment I would certainly want to have a long talk with both her and those she has worked with, but I see no reason to exclude her from consideration. I have not written on this issue before as I do not know enough about Kennedy to have a strong position either way. One argument today did make me want to respond. Andrew Sullivan, quoting a report in The New York Times, concludes that Kennedy is Less Qualified than Palin. Sarah Palin represents the worst tendencies of the right wing to support anti-intellectualism, restrictions on civil liberties, and to oppose our system of Constitutional government. The repulsiveness of both Palin’s views and the movement to support her should not be trivialized by inaccurately comparing others to her, and Caroline Kennedy certainly does not support this comparison. Palin has spent more time in elected government, but this is not what determines their relative qualifications. Palin’s lack of qualification for high office is based upon her lack of understanding of the basic issues and because of the extremism of her views. Palin repeatedly showed her lack of knowledge both in interviews and in her debate against Joe Biden. While Palin showed a lack of understanding of Constitutional issues, Kennedy has written books on the topic. Palin repeatedly showed in her public statements that she does not understand the First Amendment. While Kennedy has been a defender of First Amendment rights, Palin has attempted to violate it with her attempts at censorship. Someone who has written books in support of civil liberties at least has reason to be considered as a potential Senator. This makes her far more qualified than someone lacking in knowledge and intellectual curiosity such as Sarah Palin. There is also a considerable difference between senator and vice president. Being an author and civil liberties advocate without experience in government may or may not be sufficient to be vice president but it is sufficient to at least consider someone for the Senate. As Kathleen Parker points out, “a Sen. Caroline Kennedy would not be a nuclear-enabled leader of the free world, whereas a Vice President Sarah Palin might have been.” Having Sarah Palin wind up in the White House would be a nightmare. Appointing Caroline Kennedy to the Senate and having her face the voters at a later date may or may not be the best decision Paterson can make, but it would not be anything like the choice of Sarah Palin as vice president.